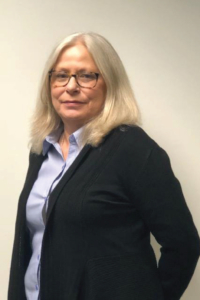 Michele Baker is an Accountant for Specialized Property Management, and has been with the company since 2017. She has over 40 years of experience in Accounting and Finance. Ms. Baker is primarily responsible for maintaining the accuracy of both owner and tenant accounts. She strives to build trust and long-term relationships with clients by ensuring that quality and service exceed customer expectations. Prior to joining the company, Ms. Baker worked as an Accountant and Accounting Manager for many years in HOA Property Management. Ms. Baker received her training from college coursework along with over 40 years of diligent effort in the Accounting Industry. In her spare time, she enjoys antiquing, painting, and spending time with family friends. Ms. Baker is also committed to the community, and both volunteers and supports several homeless organizations in the Dallas Metro area.